-Golden Light- from their new EP, 3 O’Clock out now via Asa Wa Kuru Records and Ponderosa Music & Art. March 10, 2017. Blonde Redhead is an alternative rock band composed of Kazu Makino (vocals, rhythm guitar) and twin brothers Simone and Amedeo Pace (drums and lead guitar/vocals, respectively) that formed in New York City in 1993. The band’s earliest albums were noted for their noise rock influences, though their sound evolved by the early 2000s with the releases of Misery is a Butterfly (2004) and 23 (2007), which both incorporated elements of dream pop, shoegaze and other genres.They have released nine regular studio albums and have toured internationally. Amedeo and Simone Pace were born in Milan, Italy, grew up in Montreal (Saint-Léonard), but later moved to Boston to study jazz. After earning Bachelor’s degrees, they entered the New York City underground music scene. Blonde Redhead formed in New York in 1993 after Amedeo and Simone met Kazu Makino, an art student at the time, by chance at a local Italian restaurant. 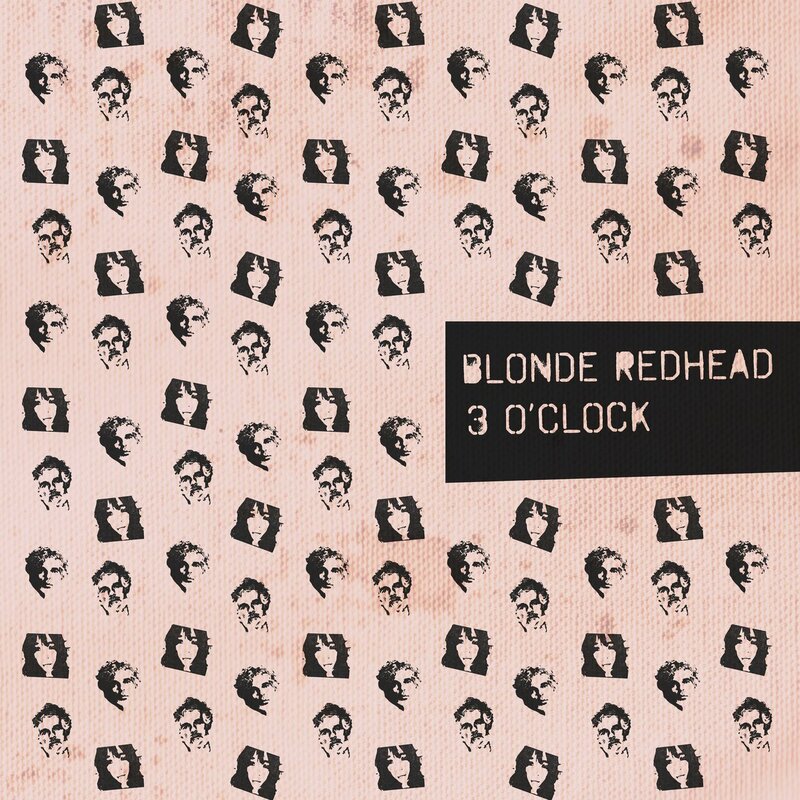 Blonde Redhead’s self-titled debut album was released in 1995. Shortly afterwards, fourth member Maki Takahashi left the band and was replaced by her friend Toko Yasuda as bassist. Yasuda played on the band’s second album La Mia Vita Violenta also released in 1995. Both records appeared on the New York label Smells Like. The band continued as a trio. Their third album, Fake Can Be Just as Good, was released through Touch & Go in 1997.The band enlisted the help of Vern Rumsey of Unwound, who filled the role of guest bassist. Subsequent albums featured Skúli Sverrisson, who the twins knew from their time in Boston. On their fourth album, In an Expression of the Inexpressible, Guy Picciotto of Fugazi was hired as producer. Picciotto also contributed in the construction to the song “Futurism vs. Passéism Part 2” as well as lending it his vocals to the 1998 release. In 2000 Picciotto also co-produced Melody of Certain Damaged Lemons with Ryan Hadlock, an album about the relationship between Makino and Amedeo Pace. The four-year delay between Melody of Certain Damaged Lemons and Misery Is a Butterfly is attributed to Makino’s recovery time after being trampled by a horse. Much of the visual and lyrical imagery of Misery Is a Butterfly is reflective of the accident, especially in the music video for “Equus.” It was the last time Picciotto produced the band. In 2006 Makino recorded vocals for the film Sisters. Alan Moulder mixed the trio’s album 23 which was released on 4AD, in April 2007. In mid-2008, they wrote and recorded the score of the documentary feature film The Dungeon Masters. The film premiered at the Toronto International Film Festival and was released on February 12, 2010; a soundtrack album was released in July 2010. In 2009, Blonde Redhead contributed to the AIDS benefit album Dark Was the Night produced by the Red Hot Organization. In March 2010 the band included a demo version of the song “Not Getting There” on a 4AD sampler entitled Fragments From Work In Progress. Their eighth album, Penny Sparkle, was released in September 2010 through 4AD. The album was again mixed by Alan Moulder, and reached 79 in the Billboard 200 chart. For the subsequent tour the band added a key-board player. The band released a six-track remix EP in July 2011. A year later, the band started the project for their next album but without the support of 4AD. Self-financed the band embarked on a haphazard recording schedule with producer Drew Brown. Simone Pace noted about Brown’s involvement that “he has so much experience and definitely dictated the direction of the record; the choices of instruments, concept and that it was minimal.” He forced the band to use analogue instruments. The band released their ninth album, Barragán, on 2 September 2014 through Kobalt. It was preceded by the single “No More Honey” that appeared in June. It was followed by the second single, “Dripping”, which included a video. The band also provided the soundtrack to the Danish film The Commentator. Prags Boulevard 49e, 1 sal.